Psychic expert Saniya - Fortune Telling :: sidetaker. Hello live person clients as I'm god gifted psychic, Psychic reader and Tarot reader with much experience .I can tell what he/she is thinking or feeling about each other. Find your problems solutions by my readings and divine experience. I have been helping people since 10 years with lot of hard work and strong determination. As I can solve your problems by my readings, vast experience and can advice you what to do next to have a long term relationship, I can tell you what your future holds in the coming times. So just contact me whenever you are worried in love life and in relationship matters to get the way to reach the solution. As I can solve the problems in love life, Relationship issues, misunderstanding between partners and lovers, extra martial affairs, Breaking up and divorce, what your partner thinks of you. I can tell you about the past people, As I speak to spirits and I have many contacts with them through my visions. From child hood I use to see the visions as I am god gifted psychic who can predict your future and solve your problems by my readings and by divine experience. I'm a natural born god gifted psychic. Psychic reader and Tarot reader. I'm helping people from many years to solve there love life issues in daily life and guide them to the right path of life so that they can have wonderful life and long term relationship. 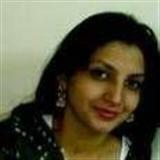 I have 10 years of professional experience and my readings are very detailed as my experienced guidance will be helpful in your love life and I'm very compassionate for the people that I read for and offer honest insight about their relationship. My personal experience for the psychic is from childhood, as I use to see the visions that are going to happen in the coming future. As I have always been god gifted and have the ability since childhood for readings. Through my visions you will be able to see clear and better into your future relationship. My Motto is "Love is Life". Life is like a diamond if you polish it then only it will shine more. Hence by my readings, advice and guidance you can get your problem's solution. Good review! Thank you ?? detailed follow up, cleared my doubts about my situation. thank you! cleared my doubts and gave clarity on the situation. thank you! Awesome the best yet!! Call this girl she rocks !! great update. a very empathetic reader, very accurate about situation. thank you dear! Great talk with Saniya! She is great!